Juliet Marillier interweaves Beauty and the Beast with three other threads, then she chopped some out. What did she remove and why? So just what is the difference between “good enough” and “great”, Natalie Whipple has some advice. Jessica points out that books should live longer on the shelves, a point that publishers don’t recognise but one that bloggers do. What the Hell Does “Well Written” Mean? A post in which the mystery author wishes to find a specific definition of just what “well written” means. ”The magic is not in the idea, which is probably nowhere near as original as you think it is. All Your Characters Talk The Same — And They’re Not A Hivemind! ”How do you keep your characters from all having the same voice?” Eight good observations on how to give distinctive voice to your characters. People seem to love monsters, they even vote them into office. So why would that be? How many “speelycaptor” and “smeerps” can your novel hold? This continues from last weeks Wash-Up when we listed interviews one to five. The final Interview, number seven will be posted next Friday. Joanna Penn reviews “:59 Seconds – Think a little, change a lot” by psychologist Richard Wiseman, and highlights some of the most interesting parts. 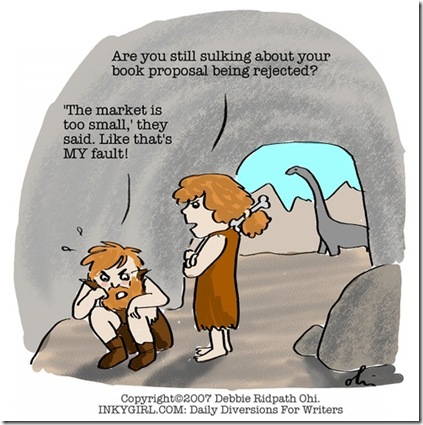 Janet Reid breaks down the rejection reasons for queries. Consider that she started at 10pm and processed 68, you can see just how quickly she has to process queries. Henry Baum tried to format his eBook – but – it fought back. Eventually he hired an expert; this post offer help from Henry and Moriah (his expert) on battling with your eBook. Editorial Anonymous asks authors to realise a plain truth. Margot Kinberg writes at length on the use of false trails in crime and mystery fiction. Interesting post and a subject that can be applied to other genres if a little reader misdirection is required. Michelle Kerns has a pet hate, clichés that do more harm than good. Authors are often requested to do reviews for other author friends, so it’s probably a good idea to know how to write an informative one. Another good post from Margot Kinberg, this time about building suspense using the ticking clock method as favoured by Dan Brown. Ok everyone knows that people want to read to the end of a chapter and then put the book down. Gail Levine explains that it is the writers job to stop them. As Gail found more to add to the chapters post when she came to write her next post, I have added it as well. Leo Babauta has a strong view on mastering needed skills. All you need is . 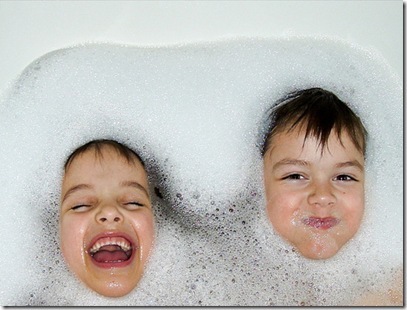 . .
Jean Henry Mead explains how viewing the ordinary and then thinking creative thoughts expands your ability. I think she would like my, What Happened To You Today? post. Scott Myers gives us all the chance to read some of the screen plays from incredibly successful films. I have no idea what a top screen play contains or looks like; a wonderful opportunity for us all. Justine Musk writes a wonderful post that is half investigation and half internet round-up. There are some interesting observations here and a strong lesson on the need to always question the validity content on the net. Writers Digest each year lists agents accepting work from new authors. This link is to a post which then links to the list because there is a link to Donya Dickerson’s ‘10 easy tips’ that you should read before you start sending submissions. Public speaking is one nightmare every author hopes to have. Tony Eldridge passes on some tips on finding public speaking opportunities. Everyone knows that first impressions are incredibly important to an author. What many authors don’t know is that this is also true of the characters in their novel. Marianna Baer gives some helpful advice. Moriah Jovan leads us through a delightful trail of book cover design and second thoughts. Australian books are overpriced and hiding behind a protective administration. Not everyone agrees with the political decisions. Personally I wonder if the high book price will make Australia the first nation to properly accept eReaders, have a population educated in bypassing border download restrictions and in so doing destroy the indigenous printing industry completely. One to watch. Graham Storrs has a publish date in mind also book promotion, blog tour and life. So he is calling “wifie” and the dog in to help. Will they co-operate? Is that publishing date still firm, should he worry when the editor tells him not to worry? How is it everyone else seem to know about things like the ‘Law of Attraction’ and I don’t? If this is also news to you read on as Joanna Penn (with a double n) explains all. Hints and tips for the thriller writers amongst you. I have been listening to this podcast over and over again, during the past week. Now I am off to buy the book that Paula uses for reference in the podcast . This month Inky Girl is putting out some brilliant NaNoWriMo cartoons and posts, don’t forget to pop over and check them out. Jessica Rosen is full of good advice as usual. Writing believable dialogue can be just impossible, Jessica’s links should help. Teresa Frohock’s weekly post was not up at time of posting this, so I have linked to her home page, where she has a brilliant interview with Alex Bledsoe. If you like vampires then read on. Tony Eldridge has ten more superb links for writers who are now considering how to get their work in the hands of the public. Useful links from the well travelled Alexis Grant. Checkout the post by Nathan Bransford that she has found. Ami Spencer is taking part in NaNoWriMo, normality will resume in December. Oh Mylanta. You are an oasis of salty sweet links in a dry, barren Twitterverse. Thank you! Thanks for the great links. I can’t wait to get reading!